Although the village of Esker stands on the edge of a vast and blighted landscape, the people living there have relied on the crusaders to keep them safe from the horrors spawned in the wastes, confident in their arms and will to drive back the dead that sometimes emerge from the roiling dust clouds. Yet even as the people watch the north with fearful eyes, none imagined that doom would come from within their community. 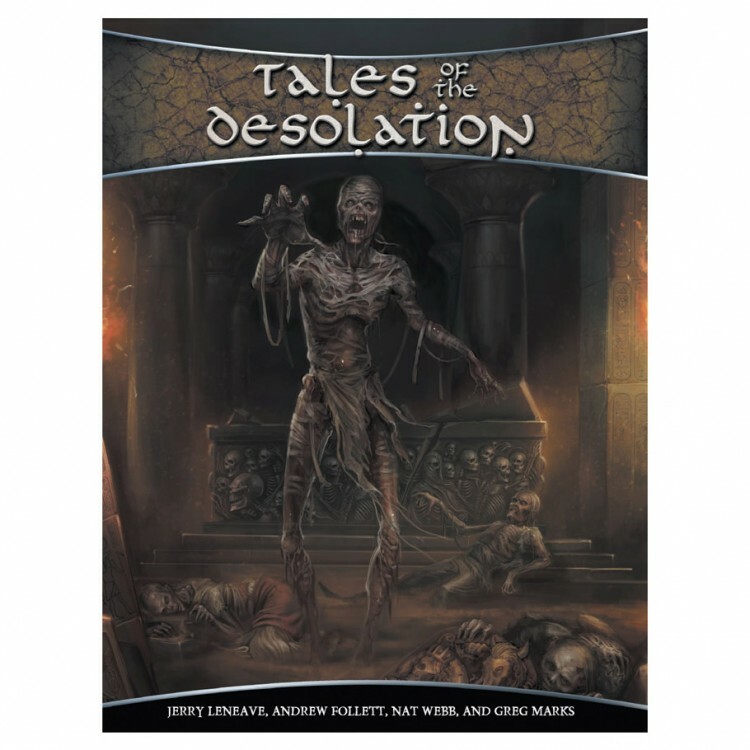 Tales of the Desolation(TM) collects the four adventures revealed at Winter Fantasy 2016 and presents them as a mini-campaign for expert characters. Faced with horrific undead, disease, rampaging bands of beastmen, and the deadly environment of the Desolation, groups will find themselves tested at every turn to survive. To use this product, you'll need the Shadow of the Demon Lord(TM) core rules and the Tombs of the Desolation(TM) supplement.